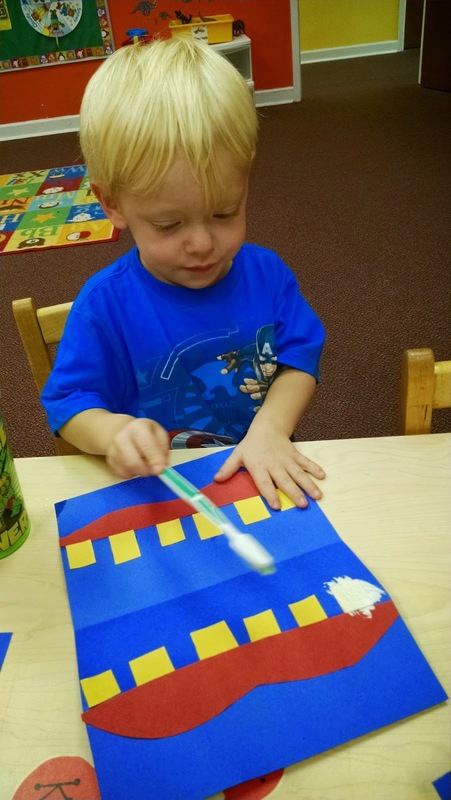 To get ready to celebrate the Labor Day holiday, we are talking about Community Helpers this week! There are so many people in our community that help to make it a wonderful place to live. 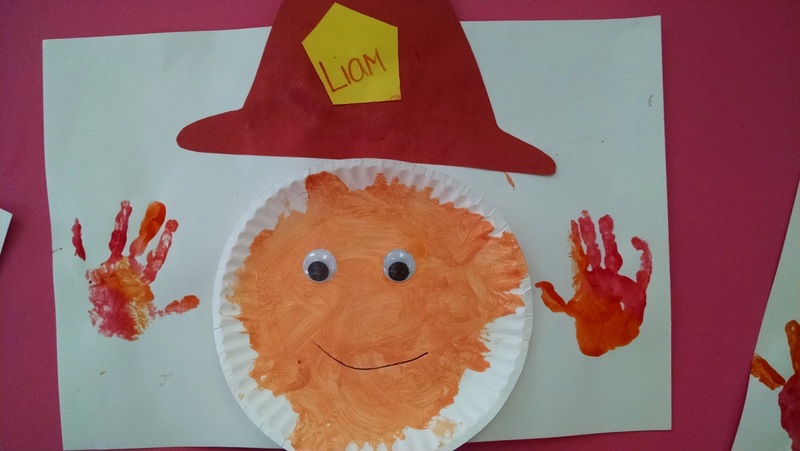 The children had fun learning about several different helpers! The children pretended to be Dentists and "brushed the teeth" by painting them white with toothbrushes! 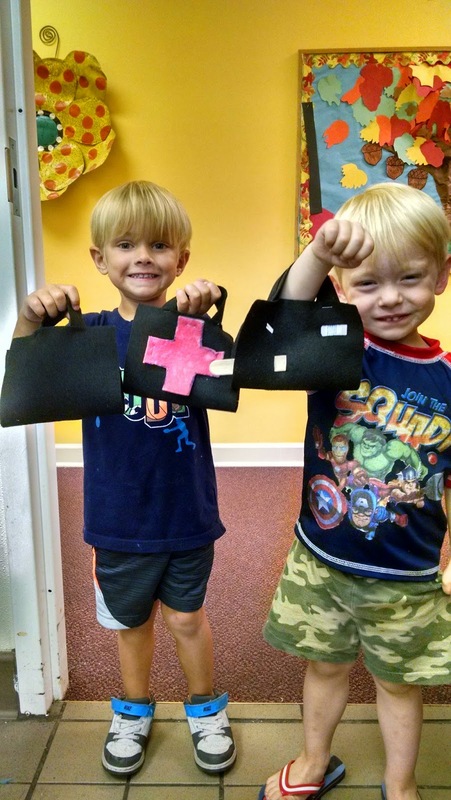 They were so proud of the Doctor kits they made to help in the case of a Boo Boo! 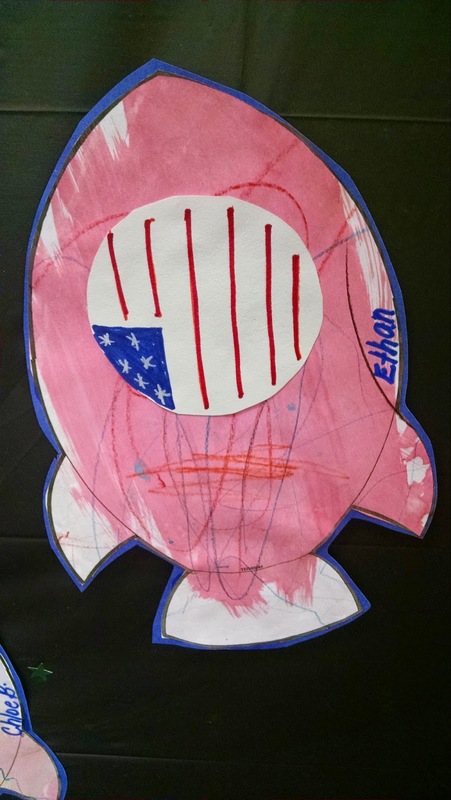 Take a look at these cute art projects that were made while talking about Chefs, Firefighters, and Astronauts! We even did some pretending with our cooking project! The children got to act like construction workers and build a house. 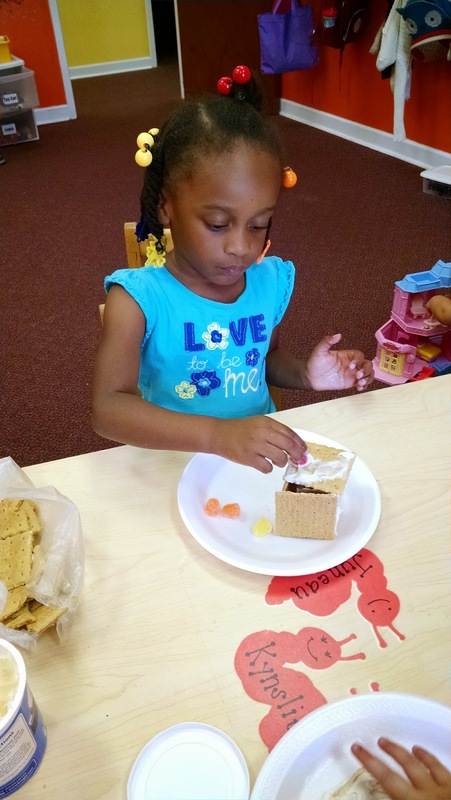 The best part is, it was a yummy gingerbread house! 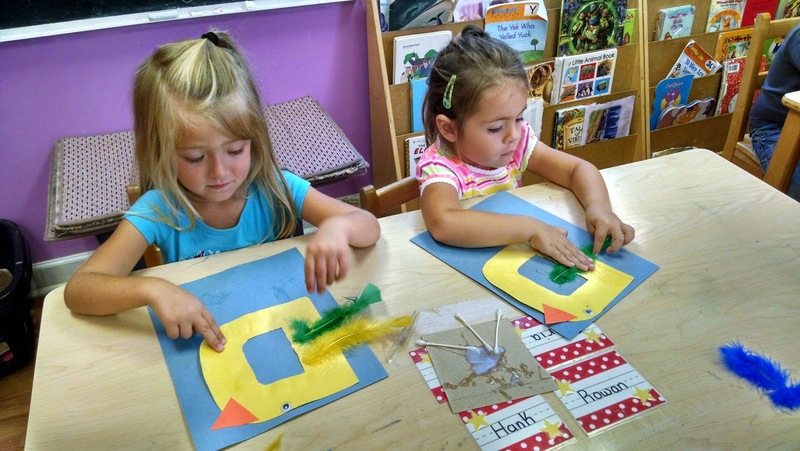 Our letter of the week is "D" so the children enjoyed making a cute duck! We hope you all enjoy your long holiday weekend! Thank you for all that you do for our community! 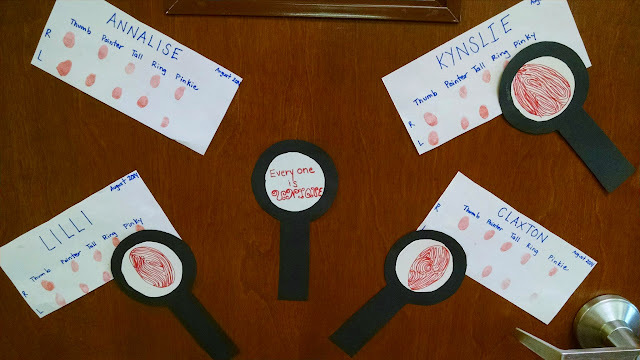 Now that we've gotten to know about each other, it's time to learn about our body parts! 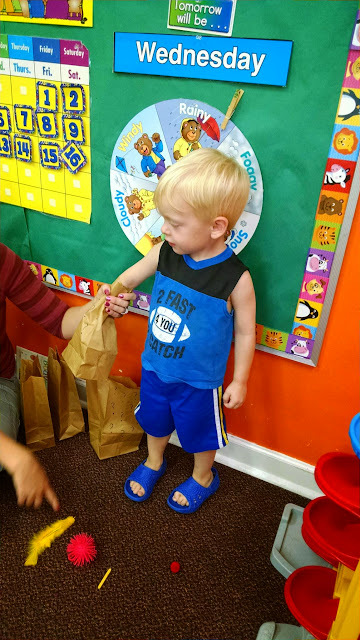 The children had fun singing "Head, Shoulders, Knees, and Toes" and the "Hokey Pokey" as well as counting their fingers, toes, arms, legs, etc. 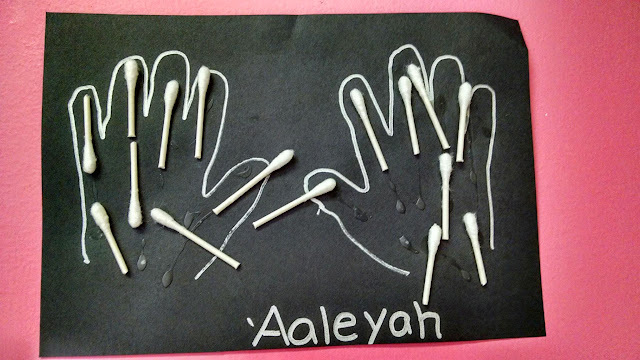 We also talked about the 5 senses this week. 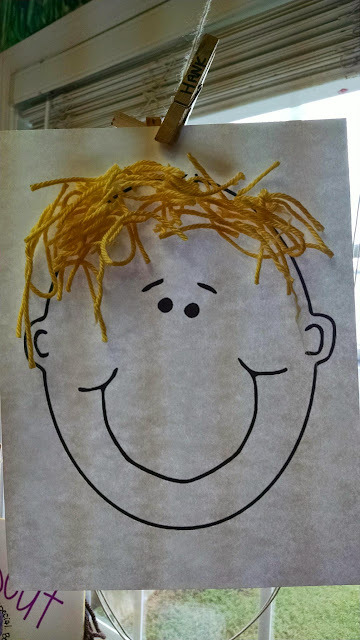 This was a fun activity where the children had to feel in the bag without looking and name what was inside. Our letter of the week is "C". 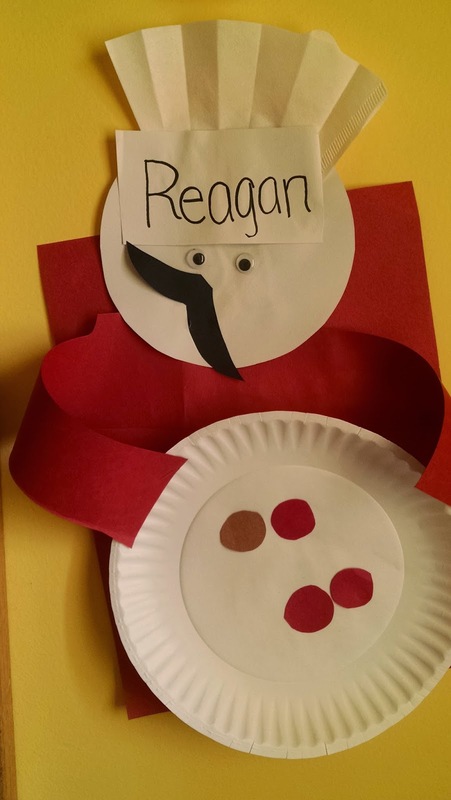 There were so many fun projects going on this week! 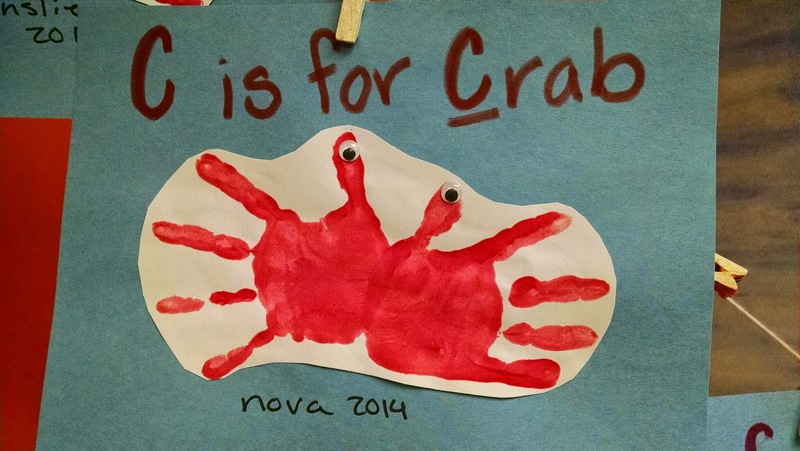 After all, "C" is for Caterpillar, Cow, Chameleon and Crab!! 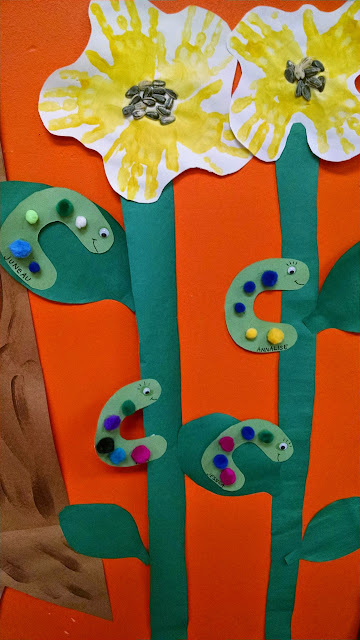 With so many new faces in our classrooms, it's a great time to get to know each other better! 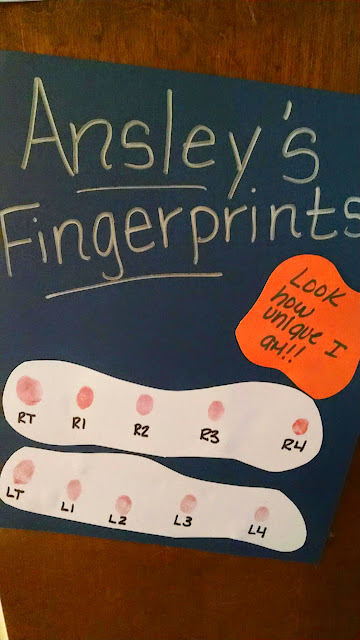 This week, the children will be telling each other about themselves, measuring how tall each of them are, and talking about how unique each child is while looking at their different fingerprints. 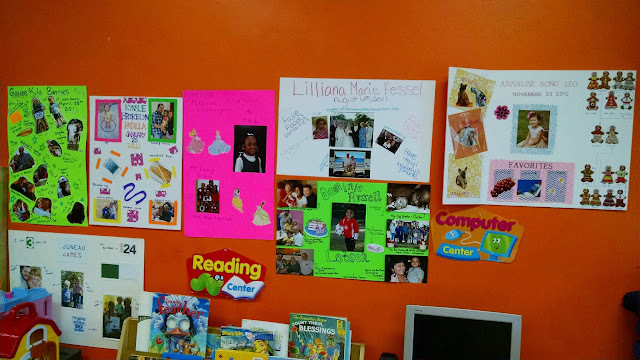 Our classrooms did different projects this week to compile all the neat facts about each kiddo! 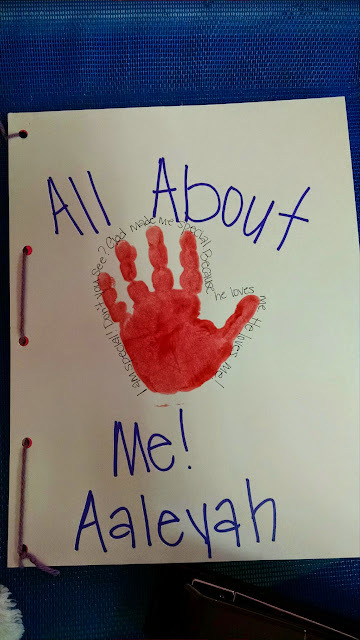 One class made a book that included: their hand on the cover, a face that the children made to look like them self, and a page with their fingerprints. 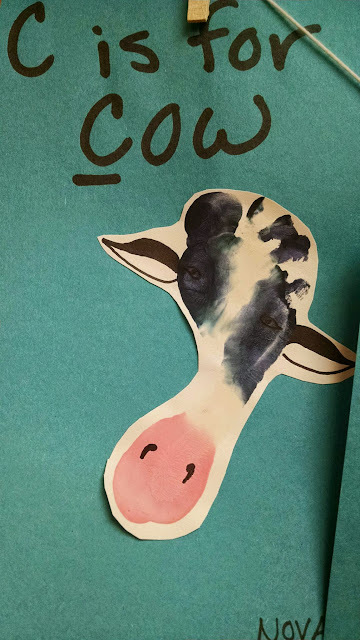 Another class asked the parents to put together a poster with their little one that better introduced them to the class. It was so fun to see all the family pictures! 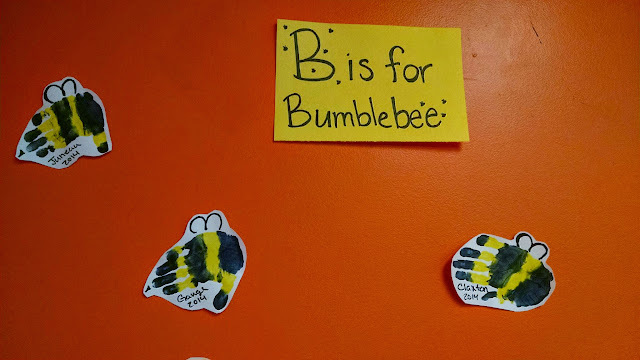 Our letter of the week is "B". 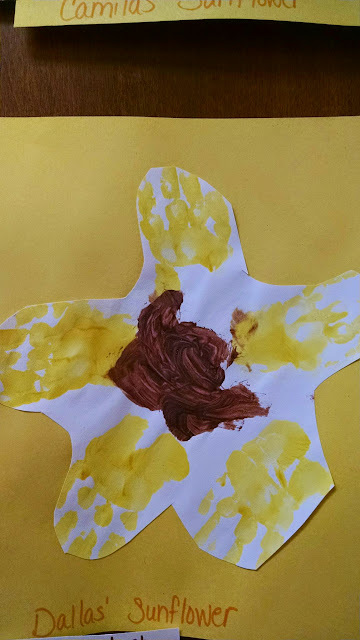 This class made cute Bumblebees from their hand prints! We can't forget about our number of the week either! 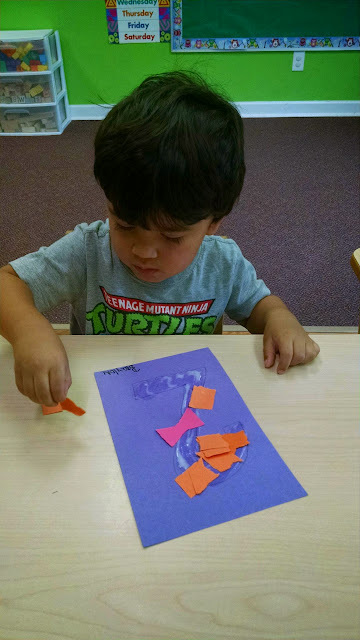 The 2 year old class decorated a 2 with little pieces of paper! What a fun week getting to know our new friends! Looks like it's going to be a great school year! 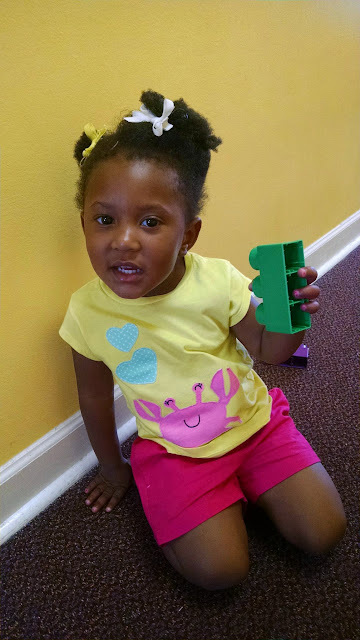 It's a new school year with lots of new faces in our classrooms! 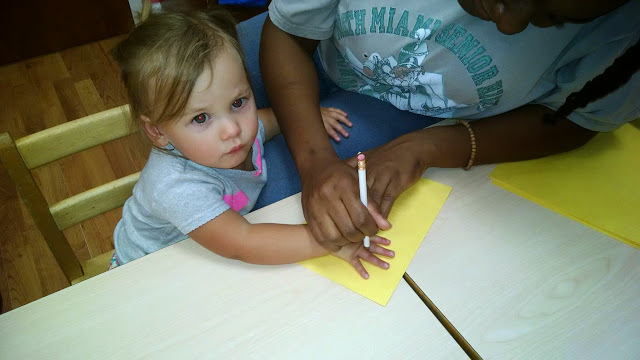 Since a lot of our Pre-K friends headed off to Kindergarten, several of our children moved up to new classes. This week is all about learning the ways of our new classroom and getting to know our new friends and teachers. 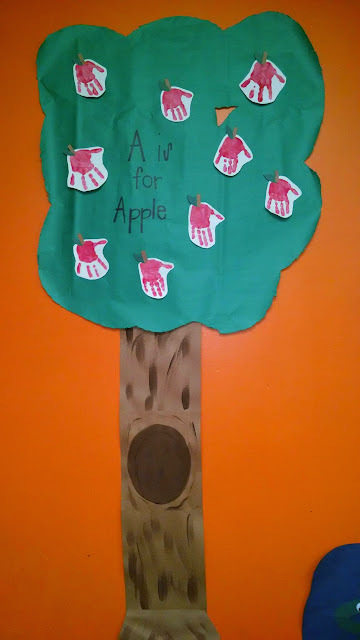 We also kick off the start of our alphabet, learning a new letter each week. 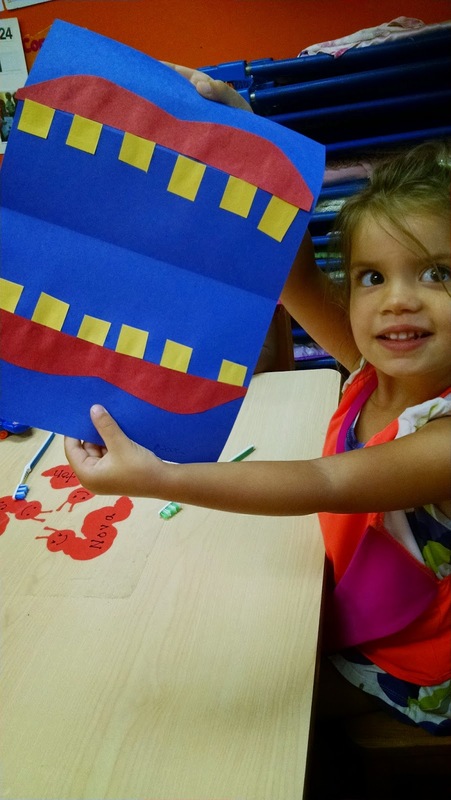 As an introduction, we had some fun with Chicka Chicka Boom Boom! 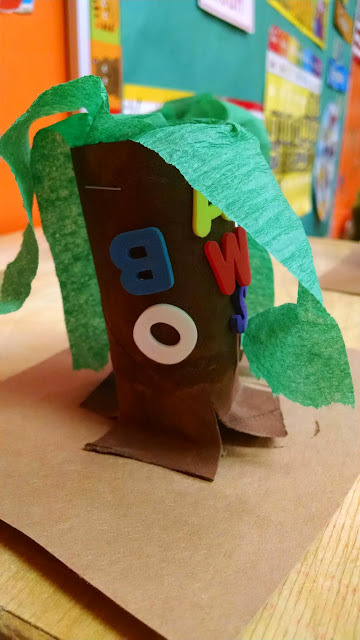 Even our cooking project was about Chicka Chicka Boom Boom! 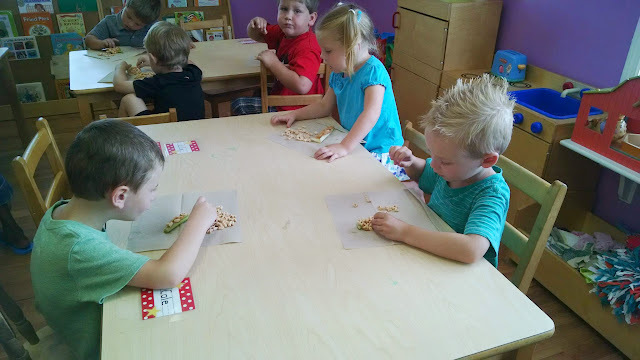 The children used a celery stick, spread cream cheese or peanut butter on it and then added alphabet cereal. 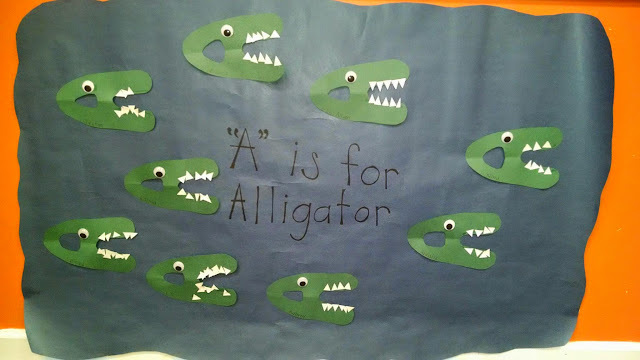 Of course, our letter of the week is "A" so the children had fun talking about things that start with "A". 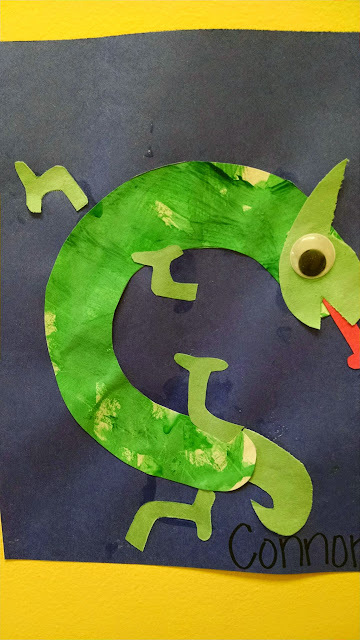 Our color of the week is green. 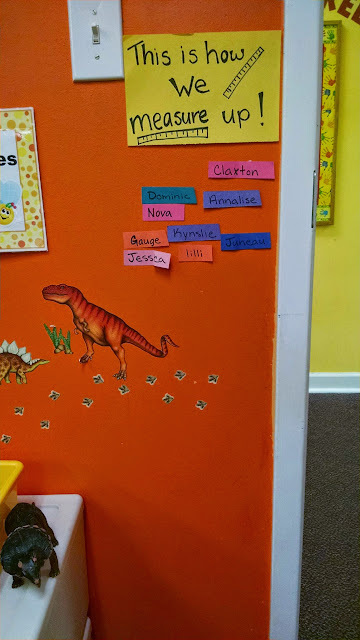 One classroom went on a scavenger hunt in the hallway for green blocks! 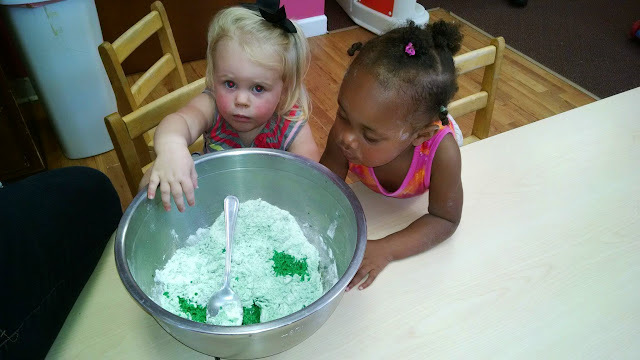 We also made Green Playdough to have fun with! We also like to talk about how special our school is during this week! The children made Sunflowers using their hand prints to show their pride in Sunflower Station Preschool! If you can't beat the heat...play in the water! That's exactly what we did this week! 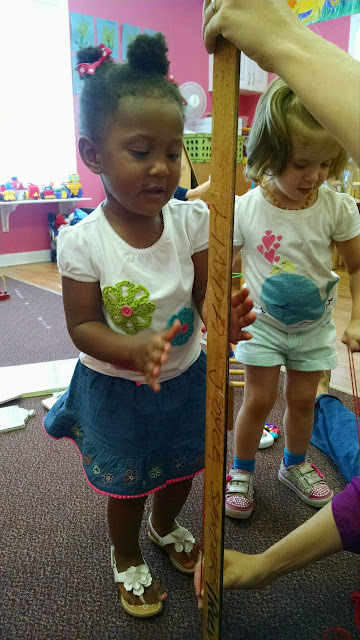 The children measured with water, talked about things that absorb water, and even tried to move like water! 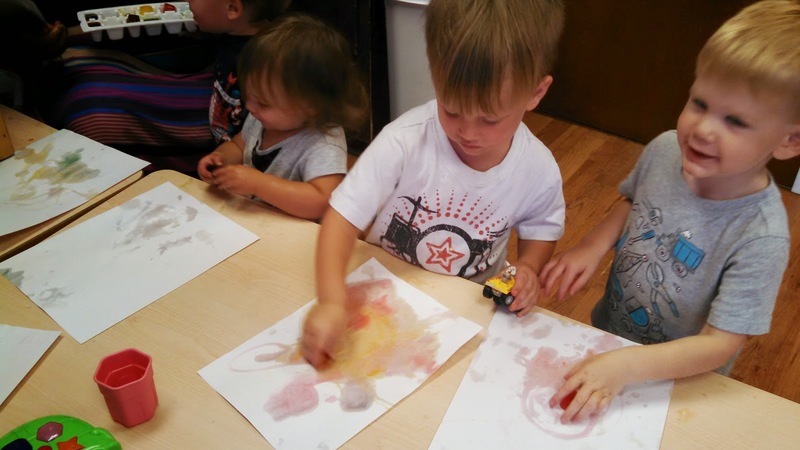 We painted with water colors, made window art using water, and created art work with colored ice cubes. 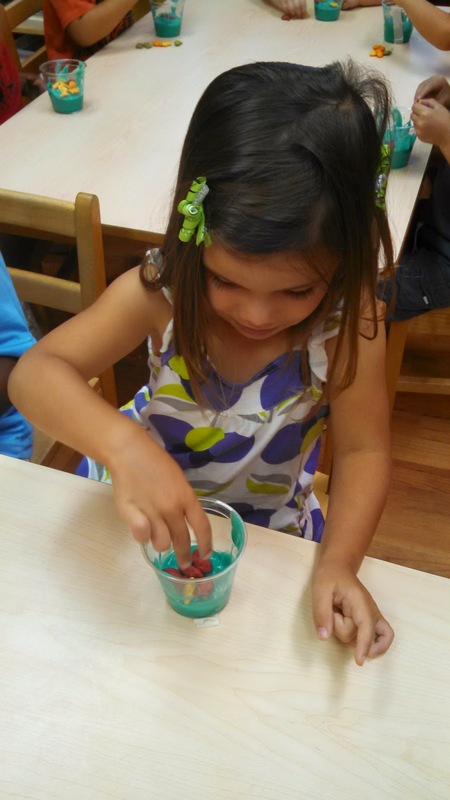 For our cooking project, we made "Beach in a Cup". 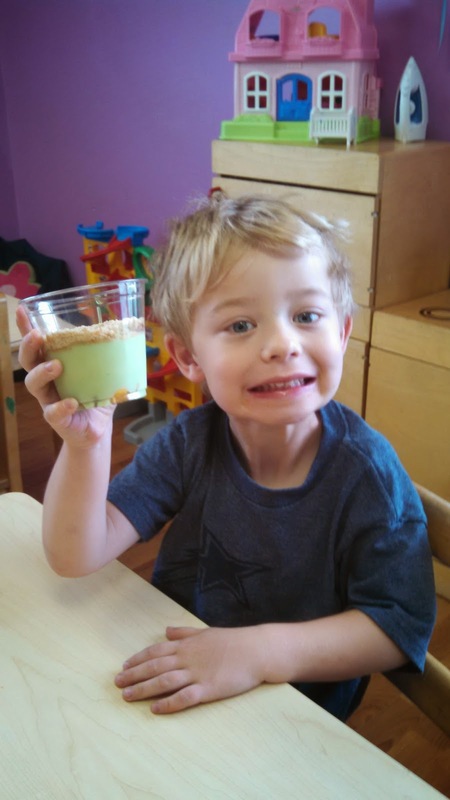 The children made pudding to be the "water", added goldfish to the water, and crushed Nilla Wafers to be the "sand". 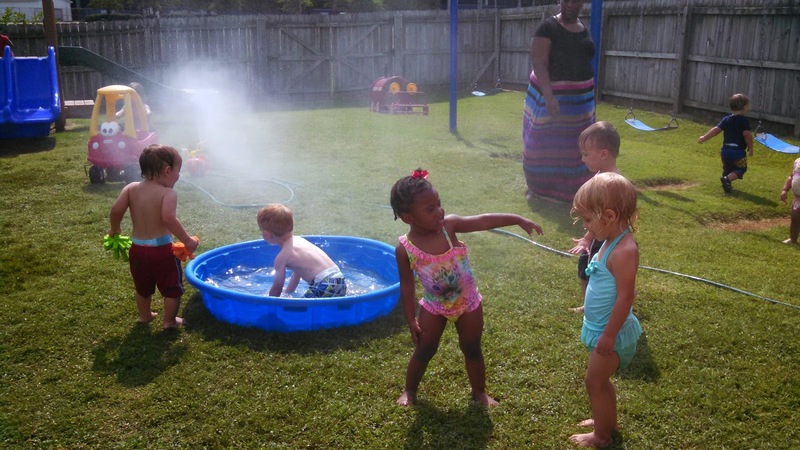 We had another Water Play Day on Friday too! After all, what's Wacky Water Week without getting soaking wet! 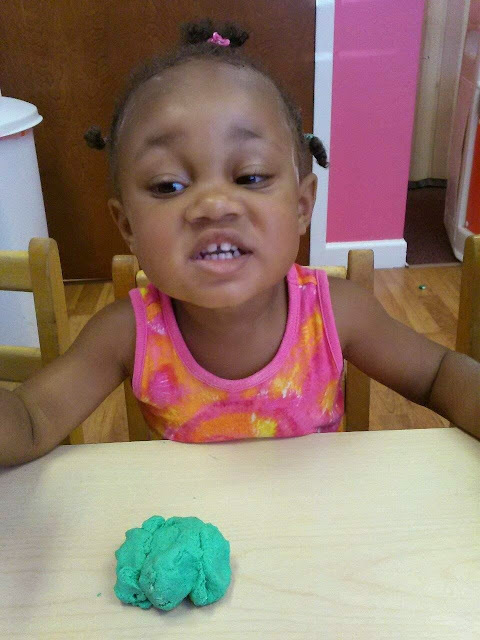 We hope you are finding ways to stay cool this summer too!